All Watauga homes currently listed for sale in Watauga as of 04/19/2019 are shown below. You can change the search criteria at any time by pressing the 'Change Search' button below. If you have any questions or you would like more information about any Watauga homes for sale or other Watauga real estate, please contact us and one of our knowledgeable Watauga REALTORS® would be pleased to assist you. "***MOTIVATED SELLER*** Beautiful 2 story home on a large lot. Formal living area and large office with french doors at the front of the home. Large kitchen with an eating area that opens into the living area. Kitchen has stainless steal appliances, granite counter tops with backsplash, new garbage disposal, new dishwasher. Eating area that leads to backyard. One bedroom downstairs. Master bedroom and 2 other bedrooms upstairs. Media room and bonus room upstairs. SCREEN,PROJECTOR AND SOUND EQUIP"
"Stunning remodeled home with modern styling. Almost like a new home. Some of the updates are new roof, new gutters, all new windows, new driveway, new large back porch, new paint and all new flooring, new fence, ceiling fans, all new kitchen equipment, granite, custom cabinets, new tubs and sinks, new walk in shower, and walk in closet, new lights, etc. Too many updates to list. Must see to appreciate." "This one will not disappoint! This Single-Family Home is in a desirable family friendly area, close to shopping and quick highway access. This home has 4 beds (2 master bedrooms), 3 baths, approximately 2,020 square feet and was built in 1992. The backyard deck is perfect for family gatherings and entertaining friends." "Location, Location...and Updates Galore! Tiled entry leads you into the beautiful wood floors spanning the living room space. 3 beds with 2 bath home has Granite adorned counter tops, stainless steel appliances and plenty of cabinet space in the Kitchen. The Master bedroom is spacious and has a garden tub, dual sinks, separate shower and a walk in closet! 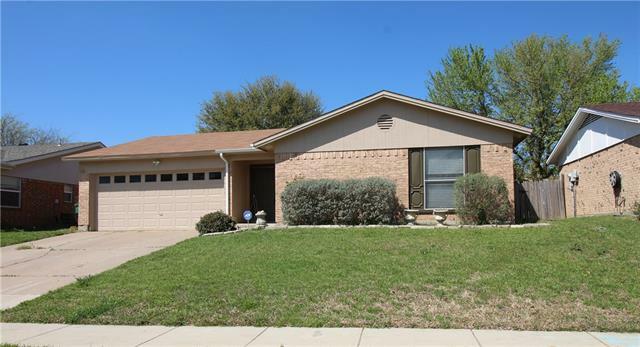 Vaulted ceilings, updated paint, flooring and fixtures throughout! Foundation work has been done." 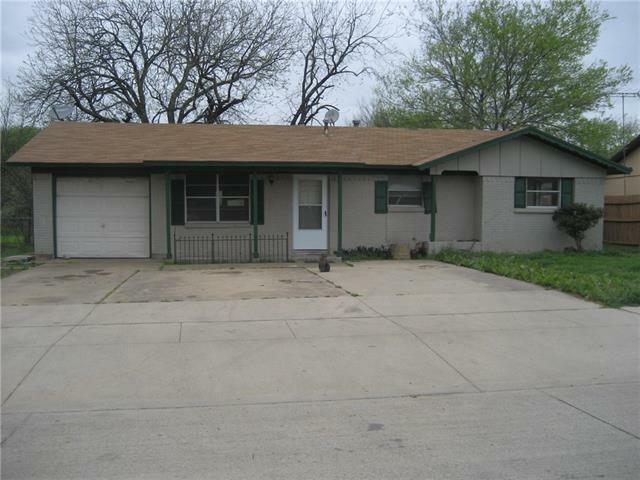 "Located in the blooming city of Watauga, this cute 3 bedroom 2 bath has a lot to offer. Conveniently located near Denton Hwy and Rufe Snow, you have easy access to dining, shopping and major highways. Steps from Capp Smith Park, Open with great flow, this home will be great for entertaining this summer in the large backyard. Second living room where garage was located, could easily be converted back to a garage if new owner desires. Title ceramic throughout the house and carpet in bedrooms. 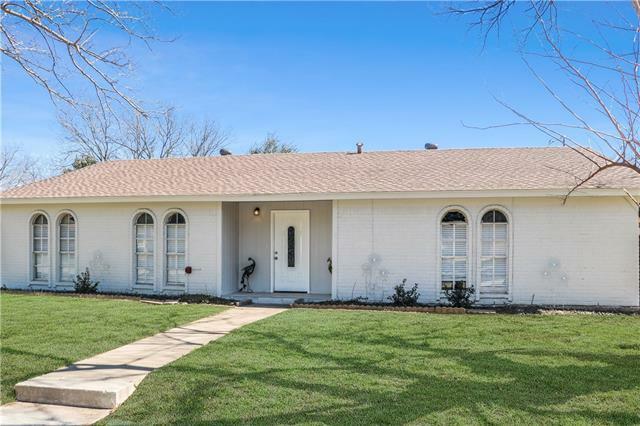 Tr"
"Come see this nicely updated 3 bed 2 bath home, featuring 1245 sf plus an additional 400 sf bonus room. This is a must see home in the heart of Watauga. Wood look tile floors throughout, knotty alder wood cabinets, glass tile backslash, stainless steel appliances and granite counter tops in kitchen. New master bath fully updated, and new roof completed in 2019. The backyard is an oasis and great for entertaining, backyard shed, fire-pit, gazebo, and Edison bulb string lighting are included. 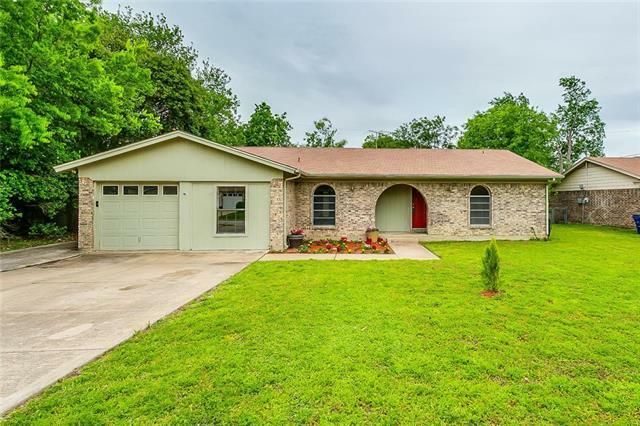 Bir"
"Beautiful and new completely remodeled home sits on a corner lot in a desirable established neighborhood! *** This 4 bedroom home features open concept with nice laminate floorings in living,dining,kitchen areas; great updated modern kitchen w granite countertops and backsplash; both bathrooms totally updated; fresh paint inside out; the luscious backyard with great size deck to enjoy and entertain...etc. *** A must see"
"Cozy 3 bedroom, tiled 2 bath located on a quiet family friendly cul-de sac. Wood burning fire place. Walk-in closets. Also enjoy the large 12x22 covered patio with ceiling fan and lighting. Ample yard space. Plenty of convenient shelving in attached garage." 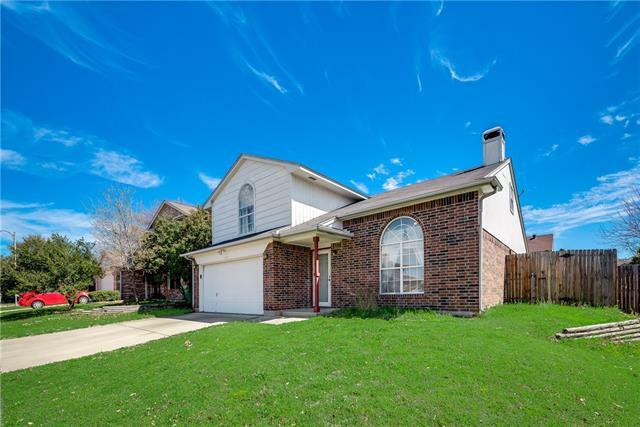 "Beautiful one story brick home with 3BR 2BA located in Keller ISD! Fresh two toned interior and exterior paint. New carpet throughout. Open floor plan with hardwood floors and brick fireplace in family room. Eat in kitchen accents freshly painted cabinets and ample counter space. Master bedroom is spacious with private bath. Fully fenced backyard with patio perfect for entertaining guests. 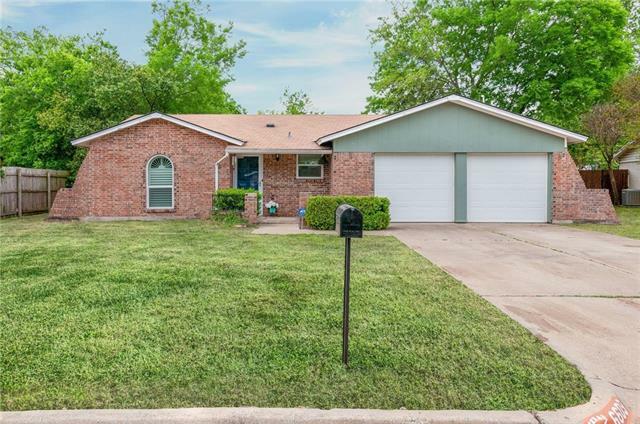 Walking distance to Foster Village Park. Close to local schools, shopping and dining. Come view this home t"
"This Watauga one-story offers an in-ground pool, a fireplace, and granite kitchen countertops. Upgraded features include fresh interior paint and a new roof. Home comes with a 30-day buyback guarantee. Terms and conditions apply." "Delightful 1-story home with fresh paint inside and sits on nearly one third acre! Just installed carpet plus bamboo wood flooring in spacious living area & arch-topped entry. Ceramic tile in kitchen and baths. Double pane energy efficient windows throughout. Split bedrooms with custom closet shelving in master walk in. Updated light fixtures and ceiling fans. Big eat-in kitchen with retro light fixture, abundant cabinetry and sleek black appliances plus the refrigerator remains. Huge covered pa"
"Price Reduction on this beautifully decorated home. Large back yard with huge storage shed. Bamboo flooring throughout the home. Lots of space to entertain with two family rooms or 4th bedroom. within walking distance to park, close to shopping and dining. Motivated Sellers"
"Cute Home features 4 Bedrooms 2 bath 1 car garage on a cul de sac. Spacious backyard! Fresh paint and Updated floors in master and living room. Granite counter tops both in kitchen and bathrooms. 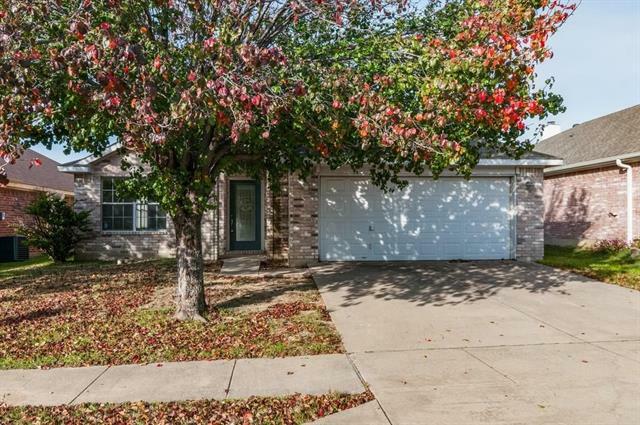 This home is Nestled in a nice neighborhood near lots of shopping centers and restaurants. Come Check it out!" 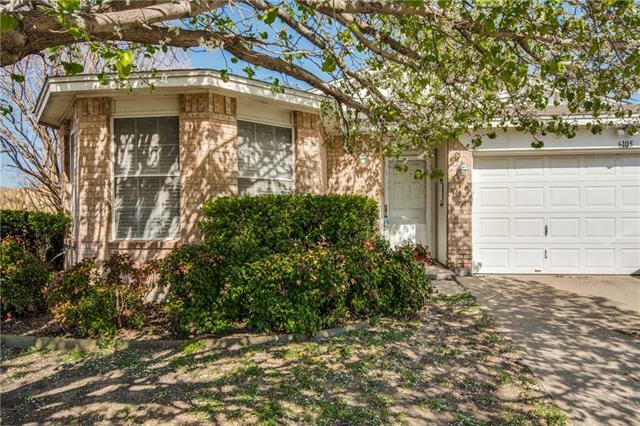 "One Story 3-bedroom, 2 bath, 2-car in Birdville ISD. 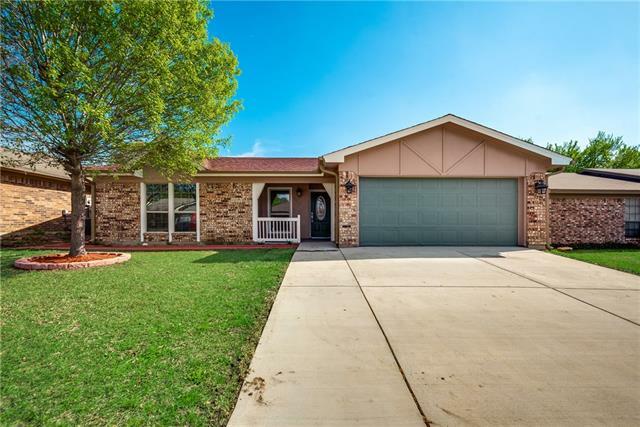 Located 12 miles from exploding downtown Fort Worth-Panther Island and only 4 blocks to City Park amenities not limited to Trails, Playground, Sport Court, Pavilions and Practice Fields. Inside has an earthy color palette, upgraded flooring, decorative lighting, wood blinds throughout. Features are bay windows at Dining, recessed ceiling in Living, backyard views and closets aplenty. The Kitchen has built-in microwave, dishwasher, disposal"
"Sold AS-IS. 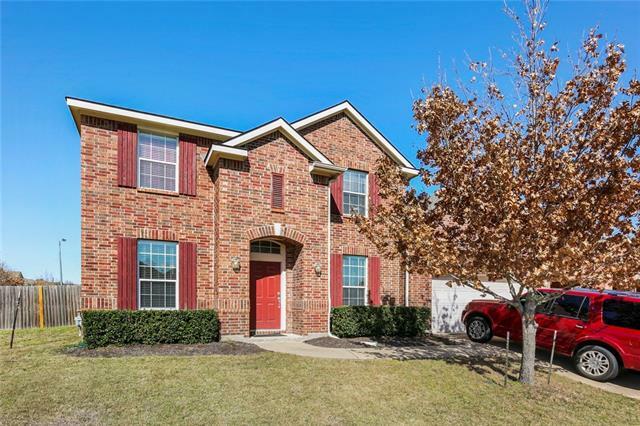 3 bed, 2 bath home, 2 car garage attached in Keller ISD! Property needs cosmetic repairs. Property offers quick access to highways for shopping, dining, entertainment, and DFW Airport." 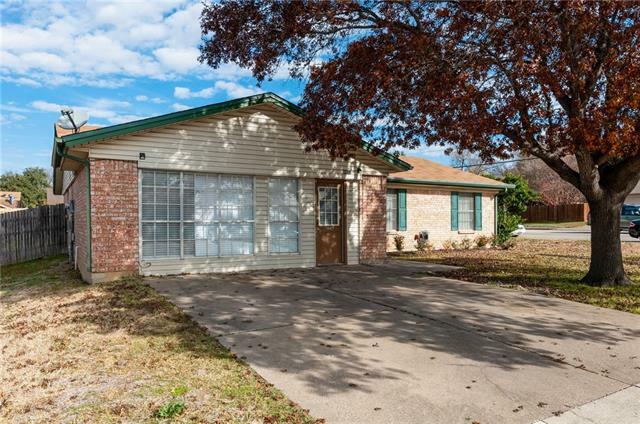 "BACK ON MARKET * Looking for quick sale * Home being interior painted with new Laminate flooring in two bedrooms being installed * Will be cleaned up & move in ready * Don't miss this one *"